There's a common misconception that homeschoolers have difficulty when it comes to getting into college. This may have been true 20 years ago, but these days, colleges are making the process of admissions for homeschoolers simple and fair. In fact, many colleges are now seeking out homeschoolers themselves, as homeschooled students tend to be excellent college students. Here, we've gathered several facts, tips, and helpful resources that you can put to work to ensure that your college admissions process as a homeschooler is smooth and successful. 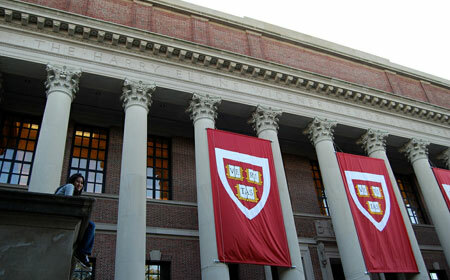 Did you know that Harvard recruits homeschoolers, and that most homeschoolers have a higher GPA than regular students? Read on for these facts and more. Harvard wants homeschoolers:Top schools including Harvard, MIT, Duke, Yale, and Stanford are all actively recruiting homeschoolers. These schools don't just grudgingly accept homeschooled students, they do everything they can to get them in the door, recognizing that homeschoolers are often better prepared for college than their brick-and-mortar schooled peers. Many colleges are adjusting their admissions policies:Some homeschoolers may remember a day when it was difficult to get into college as a homeschooler, but these days, colleges are increasingly adjusting their admissions policies to be more homeschool-friendly. Many accept portfolios of work instead of transcripts, and offer a more flexible admissions procedure. Being a homeschooled student can help you stand out:In highly competitive admissions situations, it can be hard for students to differentiate themselves from the rest of small army of applicants all vying for the same spots. Students with homeschooled experience have an advantage here, as they're different, in a good way. You don't need a GED to get federal student aid:A rumor has been floating around that if homeschoolers want to be eligible for federal student aid, they'll need to get a GED. This is not true: homeschooled students are specifically exempt from this requirement. But be careful, some colleges and universities believe this myth to be true. Homeschoolers often earn more college credits in high school:University of St. Thomas researcher Michael Cogan has found that often, homeschool students earn more college credits before their freshman year of college than other students. On average, homeschoolers had 14.7 college credits, versus 6.0 credits for traditional school students. Homeschooled students do very well in college:Throughout their college careers, students from a homeschooled background tend to do better than traditional students. Homeschool freshmen in their first semester at college average a 3.37 GPA to the 3.08 of other freshmen, and continue to keep their advantage even into senior year with 3.46 versus 3.16. Follow these tips to make your college admissions process easy as a homeschooler. Know what's expected and keep good records:Colleges will expect to see that you've met certain criteria, so be sure that you know ahead of time what you need to complete in your high school years. Keep careful records and be ready to share what you've learned in a transcript so that colleges can better understand what you've been working on. Don't slack on deadlines:Find out when you'll need to take the SAT, submit your application, and work out your financial aid well in advance. Add all of these important dates to your calendar and don't let them slip. Don't wait to start getting college credit:You don't have to be in college to get college credit these days. High schoolers, including homeschooled ones, can earn college credit while in high school, taking advantage of duel enrollment, CLEP tests, distance learning, and AP courses. Get out, and get active:Most homeschoolers do a great job of this already, but it's important enough to point out, even if it's just a reminder: extracurricular activities, community groups, and taking extra initiative to do things will really help you shine. Remember to keep a record of each of these activities so you don't forget to mention them when applying. Your application essay is of utmost importance:Experts report that even schools that typically don't read every essay will almost always read essays from homeschoolers. Why? 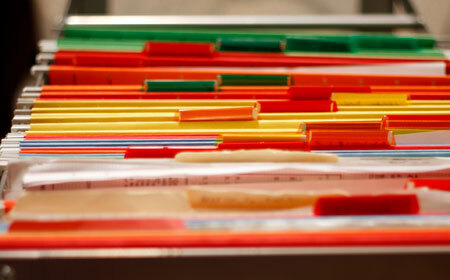 Most admissions officers presume a bias in transcripts and give special attention to other documentation. That means that you'll really have to deliver when it comes to your essay, letters of recommendation, and test scores. Many resources exist to help homeschoolers have an easier time getting into college. Here you'll find step-by-step guides, advice, and even sample documents designed to help you get it all together. HSLDA | Preparing for College:The Home School Legal Defense Association has created an extensive resource that explains the steps you'll need to take to prepare for college as a homeschooled student. Designing a four year high school program, preparing your transcript, and preparing for college are all covered in great detail. Homeschooled Applicants | MIT Admissions:Matt McGann, Associate Director of Admissions of MIT put together this guide for homeschooled students who are interested in attending MIT. In the guide, McGann explains some of the things that MIT and other prestigious colleges look for when admitting homeschooled students, offering a great resource for students planning their high school years with a leap to college in mind. FAQ About Unschooling High School and College:Homeschool.com offers this excellent resource that answers many of the common questions homeschoolers and unschoolers have when it comes to college. FairTest:Some homeschooled students do not believe in taking the SAT or ACT. Although many colleges require these test scores for admission, there are still plenty more that do not. FairTest offers a list of SAT/ACT-optional four year universities here. College Admissions Planning List and Timeline:Although written for brick-and-mortar high school students, InLikeMe's timeline offers many helpful points for homeschoolers planning their high school years with college in mind. HSLDA Sample Transcripts:Check out this HSLDA's collection of sample transcripts to get an idea of what yours should look like when you send it off to colleges. And What About College? :This guide from Cafi Cohen is often referred to as one of the best resources for homeschoolers in search of college admissions information. Find study tips, admissions policies, testing requirements, and scholarship information in this extensive book on sending homeschoolers to college.